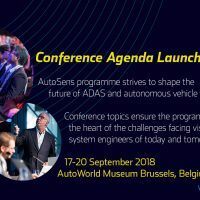 Fresh off a successful Detroit conference in May, AutoSens, a global summit on automated driving, is returning to Brussels, Belgium in September. 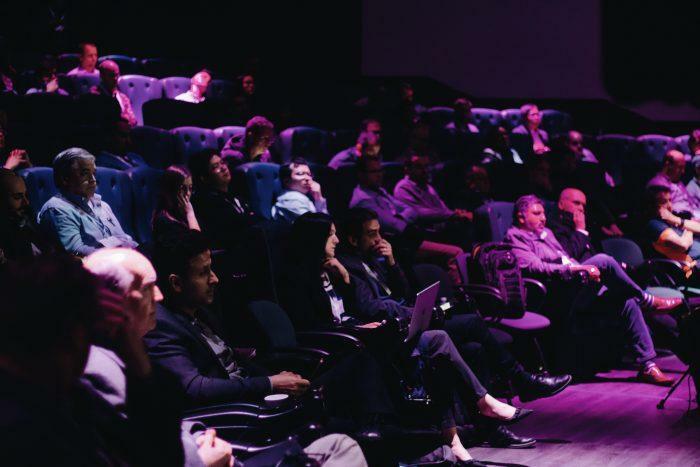 Organizers have announced the agenda for the event which includes over 60 different sessions meant to facilitate meaningful dialogue on the topic of autonomous cars. AutoSens covers nearly every aspect of autonomous driving, from the supply chain, infrastructure, and engineering challenges, to legal, financial, and ethical considerations. 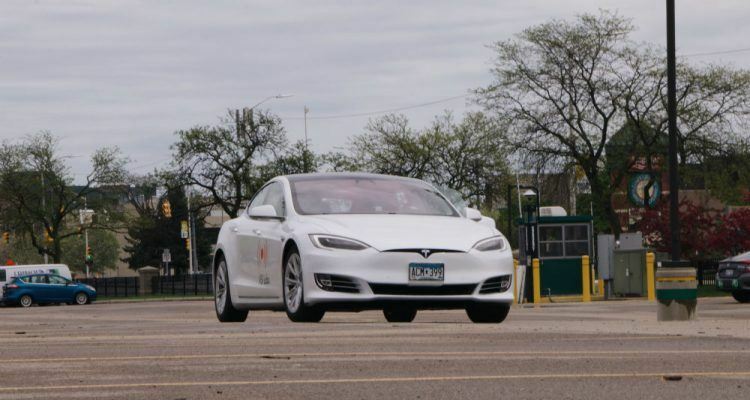 Attendees, speakers, sponsors, and participants are encouraged to leverage each other’s expertise during the event, which takes aim at the biggest challenges facing autonomous cars. Collaboration and creativity are the central themes of AutoSens, whereby professionals in the field are encouraged to share ideas and devise solutions to the obstacles facing autonomous driving. Dataspeed Founder Paul Fleck (black shirt, jacket, middle) talks with AutoSens Detroit attendees in May. Dataspeed showcased the company’s ADAS Kit which helps engineers maximize their development of autonomous systems in the field. Photo: Alex Hartman for Sense Media. Organizers say they are focused on the technical integrity of the conference, making sure attendees have an accurate picture of what is going on the market. In other words, there are no sales pitches or slides; “for engineers, by engineers” is the approach organizers take, and it can be seen in every aspect of the conference, from the autonomous vehicle demonstrations, to the expert panel of speakers. 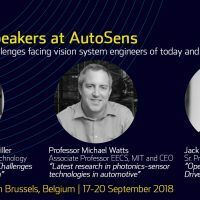 AutoSens Brussels 2018 will include keynotes from Professor Christoph Stiller, KIT, on Solutions and Open Challenges in Vehicular Perception, Professor Michael Watts, MIT, with a review of the latest research in photonics-sensor technologies as they relate to the automotive sector, and Jack Weast, Intel, on sharing an Open, Transparent, Industry-Driven Approach to AV Safety. Expert speakers include representatives from BMW Group, Intel, Hailo, Lyft, NXP Semiconductors, Waymo, University of Surrey, Siemens, Renesas, Smart Eye, The University of Warwick, ABI Research, VSI Labs, and Arbe Robotics. Session leaders have expertise in robotics, computer vision, automotive electronics, digital imaging, and functional safety. Attendees sit in during one of the many technical presentations that took place at AutoSens Detroit in May. The conference will return to the Michigan Science Center beginning on May 13th 2019. Photo: Alex Hartman for Sense Media. AutoSens Brussels 2018 will be held inside the city’s famous AutoWorld Museum, September 17th through the 20th. Tickets, including discount packages for females in the engineering community and early bird specials, are available now. The event’s full agenda and speaker lineup can be found here. The AutoSens Awards, also held in Brussels, are set for the evening of September 19th. 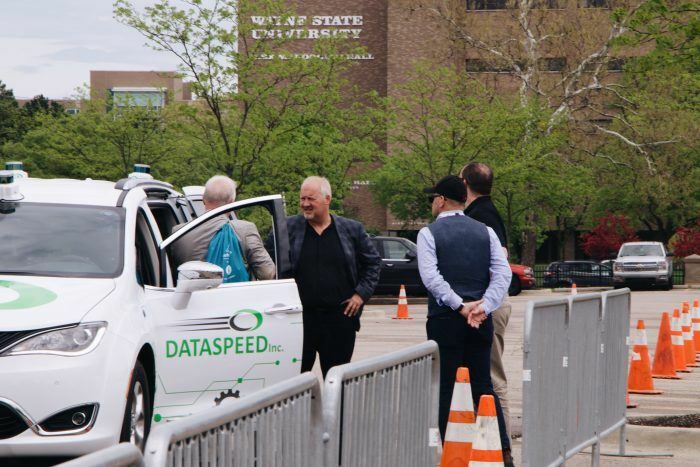 Over 400 engineers, researchers, technologists, and other industry experts attended AutoSens in Detroit in May. As they prepare for the upcoming Brussels conference, organizers are grateful – maybe even a little surprised – at the level of support they have received in such a short time. Image and signal processing requirements. Human factors in sensor and autonomous vehicle design. Regulation/ethical considerations for self-driving vehicles. How to improve the performance and safety of automated vehicles. Functional safety and testing, including real world versus virtual validation. Driver and compartment monitoring on the way towards autonomous vehicles. Sensor fusion, including validation challenges and discussion of different combinations of sensors. Sensor technologies, including camera monitoring systems, LIDAR, radar, and time-of-flight imaging. No Comments on "AutoSens Returns To Brussels, Belgium With Robust Agenda Focused On Autonomous Driving"